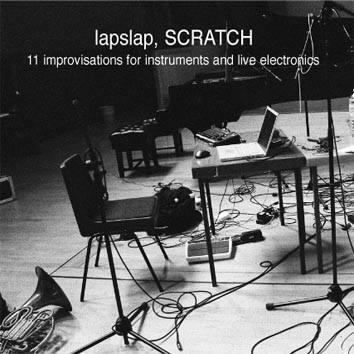 "Scratch" is the companion album to lapslap's debut CD "Itch" released in 2008 to a high critical acclaim. Michael Edwards (tenor sax, computer, midi wind controller), Martin Parker (french horn, computer), Karin Schistek (piano) freely combine computer solos with instrumental trios and any combination in between. The music draws from traditions ranging from avant-garde classical, free improv/free jazz through to improvised electroacoustic/glitch.